The road to the WNBA championship for the 2018 season starts tonight, and the ESPN networks will have extended coverage of the first round. Coverage of the league’s entire post season tips off at 8:30 p.m. on ESPN2 as the Phoenix Mercury plays host to the Dallas Wings. At 10:30 p.m. ET, another Western Conference matchup will take place as the Los Angeles Sparks will play host to the defending WNBA Champion Minnesota Lynx,. That game is also scheduled to air on ESPN2. Pam Ward will have the call for the early match. She will be joined by analyst Kara Lawson and reporter LaChina Robinson for additional commentary, news and interviews. Ryan Ruocco will have the call for the late game. He will be joined by analyst Rebecca Lobo and reporter Holly Rowe for additional commentary, news and interviews. Unlike so many other sports’ playoff formats, the WNBA’s playoffs are not set up via conference, so the winners of tonight’s matchups will face the Washington Mystics and the Connecticut Sun respectively on Thursday. Those games will also air on ESPN2. An explanation of the WNBA playoff tournament is available here. 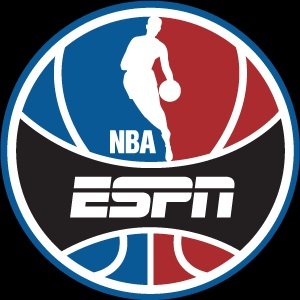 ESPN2’s coverage of the Semi-finals tips off August 26 with the Atlanta Dream and Seattle Storm currently awaiting their opponents. Coverage of the early game is expected to start at 3 p.m. and the late game at 5 p.m. The 2017 NBA Finals begin in only a day, and ESPN Radio will carry full coverage for fans that won’t be near a television to enjoy the championship series. Network officials announced Wednesday the ESPN Radio broadcast team of Marc Kestecher, Hubie Brown and Marc Stein will cover each of the series’ games. A one-hour pre-game broadcast will precede each game beginning at 8 p.m. ET on weeknights and 7 p.m. on Sundays. Kevin Winter and analyst Jon Barry will handle on-site studio coverage during pre-game and halftime. As an additional bonus for audiences, ESPN’s Jalen & Jacoby will air at 7 p.m. ahead of pre-game coverage on weeknights. Freddie & Fitz will air following each game until 3 a.m. It will offer audiences full post game coverage and analysis with live reaction from coaches and players. As if that extensive coverage is not enough, ESPN Radio will also present a special NBA Finals Special from 11 p.m. to 1 a.m. on June 4. Ari Temkin will anchor the broadcast. A second broadcast will air from 11 p.m. to 2 a.m. June 18 if Game 7 becomes necessary. Those not near a radio can still hear the game on ESPN Radio online via ESPNRadio.com, the ESPN app and Sirius XM Channel 80. Apple Music, Slacker Radio and TuneIn will also carry coverage. ESPN Radio’s full NBA Finals broadcast schedule is noted below.